100% Right or 100% Free! Uunconditional Warranty. We are not happy until your are! If within twenty-four (24) months from the completion date of your installation you are not completely satisfied with the workmanship, manufacturer’s specified performance of the system we installed, our people or level of service; we will make any modifications to our installation as necessary to achieve your happiness or repair or replace any component at no charge to the customer (within the equipment specified limitations and sales agreement work scope; efficiency and/or model upgrades or brand changes are not included). Our company operates from 8 AM to 6 PM, five days a week, 365 days a year. We also provide holiday and overnight emergency services from 6 PM to 8 AM, regardless of weather conditions, every day of the year. And, a Comfort Solutions Heating and Air a team member is available to answer your call 24/7/365—so you never have to deal with a frustrating maze of voice recordings. 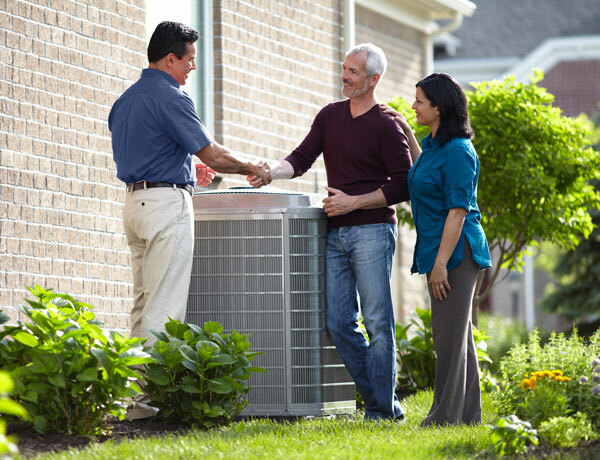 What should I know about Comfort Solutions Heating and Air technicians? We employ our own repair and installation teams. We do not subcontract ANY work! Our indoor climate specialists are fully trained and NATE-certified. In addition, they undergo stringent background checks and are insured for your protection and peace of mind.